What's More Dangerous: The Pill, Or The Lawsuits Against It? When it comes to birth control lawsuits, Dr. Anita Nelson of UCLA tells the LA Times that she has "noticed a pattern, that every time a method of birth control gets popular it gets sued." Talking to Tammy Worth of the Times, Nelson argues that the lawsuits taken out against certain birth control pills (in this case, the most popular pill in America right now: Yaz) are detrimental to women as a whole, as they have the tendency to "[scare] the heck out of women" and could lead to the loss of the medicine altogether, as, she notes, was the case for Norplant. It should be noted, however, that Nelson, a professor of obstetrics and gynecology at UCLA, is also currently on the board for Bayer, the company that is currently facing over 1,000 lawsuits due to side effects caused by Yaz and Yasmin, with the main issue centering around the pill's ability to cause a higher risk of blood clot development in users. 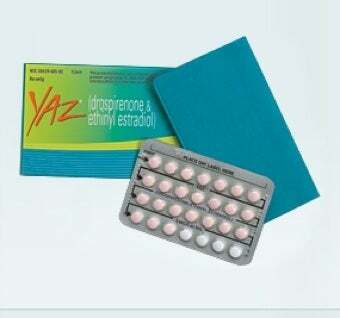 It often seems as if women can't win when it comes to birth control pills: for every new pill that is released, promising fewer side effects, it seems that there are terrifying tales of horrible side effects and even death that come along with certain medications. This phenomenon, it should be noted, is not relegated to birth control pills alone: many medications, for everything from arthritis to bipolar disorder, seem to get the "breakthrough" praise, which is quickly followed by the black box warning and, at times, a total discontinuation. With Yaz/Yasmin, Worth notes, the lawsuits have been rolling in, yet the research is divided on whether or not the pills are actually as dangerous as the litigation makes them seem. So what are women to do in the meantime? I can understand Nelson's argument to a certain extent: the national coverage of birth control lawsuits might scare women from considering the pill altogether, in any form. But I don't necessarily think it's a bad thing that people are suing a pharmaceutical company and demanding a safer product. As far as women being scared off by the lawsuits, I think there is a difference between being a terrified consumer and an educated one, and I think the lawsuits, if anything, serve as a reminder that all medicines carry risks, and that pharmaceutical companies should be held responsible when they promote a product as "safe" and it turns out to be anything but. If nothing else, the lawsuits might not scare women as much as encourage women to consider various options when it comes to birth control. Worth notes that the FDA is currently conducting its own research on the safety of Yaz. But until those results are revealed, it is perhaps best to consider that, as with many medications, what works for some people might not work for others; a combination of being aware of the risks and discussing the realities with one's doctor is probably for the best. So what say you, commenters? Have you had positive experiences or negative experiences with Yaz? And do you think the lawsuits are helping or hurting in the end?